Today we’re happy to announce the launch of My PlayStation, a new social destination on web. Conveniently access and engage with key PlayStation Network features on PC, Mac, mobile phones and tablets. It’s a great way to stay tapped in with your friends and the PlayStation community when you’re away from your PlayStation 4. My PlayStation works with most major web browsers on Windows 10, MacOS 10, iOS 10 or above, Android 5 or above. The website is already up and running, so go check it out! Our goal is to bring you a compelling social experience even when you’re away from your console. We’ll continue to enhance and add more features to My PlayStation on a regular basis, so make sure to keep checking in. 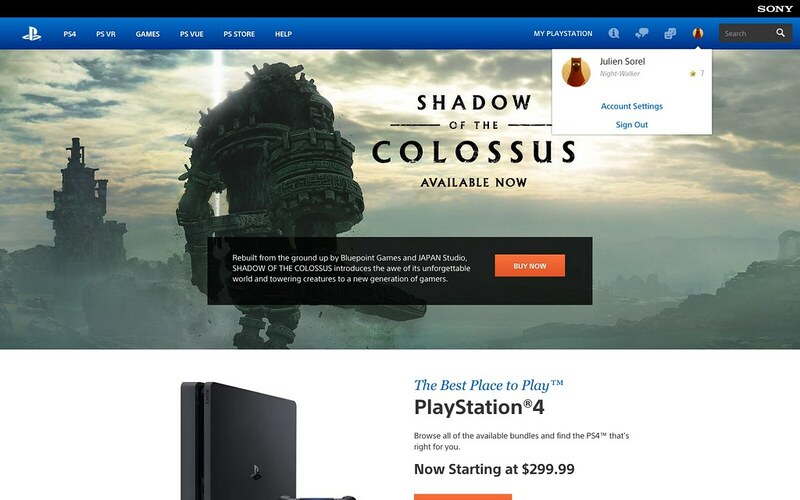 The only thing that I really want from PlayStation is the ability to get PlayStation newsletter. I have both boxes check and I still do not get PlayStation newsletter on neither of my PSN ID. I think PlayStation US should adopt other region PlayStation where you can just fill out an opt in form. Changed from outlook to gmail. Try going into PSN account settings on the web and look for Notification preferences, even if both boxes are ticked click on Update Settings. That helped me to get newsletters again. Yeah, it takes some time to get your first email from them after doing it…But unfortunately, changing your email associated with your PSN account is the only surefire way to get them coming in. I just made a new gmail exclusively for it going forward. @PS_ihh, I heard about changing the email solution but I refuse to do that. And again, I am not getting it at either of my PSN ID…one is gmail and one is outlook. I just opened two more PSN ID, one with yahoo, and another with comcast. Hopefully, I get it with one of my 4 PSN ID. @drd7of14, I checked the box almost 6 month. And I refused to change my email. I have already sent a mass email to Sony Exec and got a call from their customer relations department. Not even them can fix it. I contacted customer service because a friend wanted to see my last year in review and in addition to getting that, she managed to fix whatever is wrong and I started to get them again. Might be worth trying. I have the same problem ya know? The page looks good so far! It’s been a while since we’ve had some of these features on the PlayStation site (which seemed to have disappeared recently), so it’s good that you’ve finally assembled a replacement. However, there is still room for improvement. I would like to see an easier way of comparing trophies with your friends. Some previous iterations of the PlayStation Web site (about 2-3 years ago) handled this well. At that time, you had the ability to select a game, and then choose up to four friends. The site would then list you and your friends’ trophies in that game side-by-side. You should also have the option to go the other way around–select a friend, and then pick a game to see the trophies he’s earned. While the current My PlayStation has this feature, what it doesn’t have is the ability to then compare those trophies with yourself (or with other friends). Please consider adding these methods of trophy listing and comparison to My PlayStation. It will make these portions of the site much more useful and fun. The future holds many good things. The Playstation app lets you do all of these things except messages, which needs a separate app. I guess it works if you want to save space on your phone, and it’s nice to have on PC. I like it make PlayStation as accessible as possible. Bring over the activity feed and let people post from other devices. I gave up Facebook, and have been posting everything on the PS4 activity feed. Take a pic with my Vita, send it to my PS Vue/Family account, take a screen grab, and put it up on the wall. Would be awesome if we had a Mobile device with a better camera and the PS4 OS, but that’s a fight for another day. You should also look at re-branding Play Memories to PlayStation Photos, and increasing it’s functionallity on the PS4, and PSN. Would be awesome if I could take a shot with future Sony cameras, and instantly share it to PSN. Just a few thoughts. Keep up the great work at PlayStation. You are the future of Sony. It may be a replacement for that. Hello, i know this is probably not the right place to ask about it, but why did you remove 0% trophy deletion from the mobile app? Will it ever be restored there or in this revamped PC page? I know it can be done from PS4, but guess what… i don’t have it nor i want to get one for the time being. Thanks in advance. Could use a ‘find friends’ tool. Depending on users’ privacy settings, it would be nice to find people based on trophies or geographic location. It would be great if our trophies screenshots gets uploaded to the site, just like Steam. Also if we can get notifications of our friends activities and be able to comment on them and see if someone went live or uploaded a video, something like what’s new on PS4. I posted this on the EU blog, but am posting it here as I have the distinct impression that you guys in the US pay more attention. To be truly ‘social’, the profile and trophies need to be publicly viewable, without requiring a sign in to PSN. So for example, if I go to https://my.playstation.com/profile/Paranoimia there should be a public profile which anyone can view, even without a PSN account. The US site used to offer this, the EU site never did, and now this doesn’t either. So far I think the website is great! But a way to view your screenshots and video clips you have taken. That would be tricky, cause those are all saved locally on the PS4. Maybe what they could do is integrate it to any photos/videos that are uploaded to twitter/youtube etc. It would be nice. I’d like a simple theme builder. Give us some sets of icons to choose from, allow us to upload our own images – and allow multiple images, as a slideshow, rather than one static image. 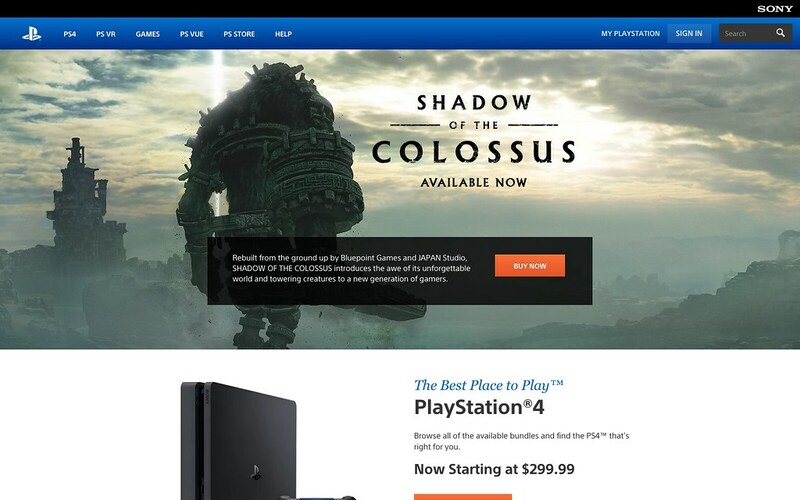 This could easily be built on a web front-end that packages up a custom theme that belongs to you (or bundled as an app you can download to the PS4, and build it there using screenshots). I want the slideshow and the increased control, though, not just one static screenshot. As someone else said, an option to copy your screenshots, at least, to the web app would be great. If you could organize them there, even better! What I would really like to see is a more neatly integrated messaging system that’s not squished into the tab on the top right. Keep up the updates, cause productive changes go a long way to making the site and service for accessible to all. Options ;) are key! No app for mobile platforms? There already is one. It’s called the PlayStation App. My PlayStation can be accessed from your mobile device by going to http://www.playstation.com From there select the menu tab and select My PlayStation. So I checked it out, and I’m not sure what sony was thinking, but there’s no way to be social in this social network. I hope that they add walls, people to follow, status updates, the ability to share stuff from PS4 etc. Please considering adding the GUI to see who is speaking in party chat while in games. It is annoying when playing with new folks or pick up groups and either not knowing who is talking or having to say your name every time you say what action you will take. The Ability to Upload your OWN Avatar would be Great. No Avatars are updated since launch its really stale now. Requires using third party cookies. In fact, the Playstation store requires third party cookies to function as well. No thanks. Too much of a security problem. i don’t know what browser you use, but i use Firefox, the best browser…..,lol. Anyway just make a Cookie Exception for https://auth.api.sonyentertainmentnetwork.com and you’re good. That’s the only cookie required to login to Sony Websites. Depending on what browser you use their could still be problems. On Firefox it will be a-okay. i meant it’s the only Cookie you have to make an exception for, there is other cookies that are not considered a Third Party Cookie. Please, please, please, can you add the ability to watch recodings remotely. The fact that in 2018 I can not show my recordings to friends remotely (away from console) is rediculous. Xbox has had this basically since xbone launch….time to step it up Sony. Simply upload your videos that you want to share to YouTube… then you could watch them anywhere. Otherwise, they’re lock on your system and the only other way to watch them remotely would be to use Remote Play. So do you sign in with your psn account or do we create another account? You can sign in with your PSN account! Looking good. I updated my profile pic and avatar with ease. while this is a step in the right direction it’s still 10 years behind Microsoft and their Xbox tools/features on PC. Now if only I could change this stupid gamer tag that I hate. An activity log showing the amount of time played for each PS4/PS3/Vita game would be great! How is this new? I’ve been able to do many, if not all, of these things from PlayStation’s website for over a year now. Is this just now being advertised? This is cool but similar to what we have already? Right? I’d like to see groups be able to be made that allow us to have friends join that are more like clans. Be able to meet players that play similar games or want to meet others that play. (For example I play a lot of Smite and would like to meet more of that community and i don’t think communities on playstation are very in depth and aren’t exactly a great way). I’d like to see trophies be similar to other sites like psnprofiles where I can check maybe my next easiest platinum to get. I’d like to see this offer more of what gamers want to see, more social, especially if you are aiming for a social platform.There is a lot more i’d like to see and more in depth for something like this to actually be different but can’t detail it all currently. How do I stop the playstation.com website from endlessly looping the login attempt? This is cool i guess, not sure why people wouldn’t have their phone around and be by a computer just to do this but Is there ever going to be an API for this PSN profile info we can use? Trophy data in particular. Too bad it doesn’t work at all using a Chromebook (touchscreen). Also it doesn’t even let you compare trophies to friends or see any stats? This is crap. psnprofiles.com for life! Still waiting on support to view my captures from my phone! Can you please update it so that you can order and search for specific games within your trophy list. Searching is very necessary. Also, ordering such as by level of completion (high->low, low->high), by recently earned trophies, alphabetical order of games, maybe others would be great! This is great! I’ve always been a big believer in extending the PSN ecosystem and its functionality outside of the PS consoles themselves. PSN after all, is an entire network outside of those consoles even. Sure, there is room for improved functionality, but it’s nice to see the foundation laid down. Essentially, I see the ideal being something akin to having nearly all of the functions on your PS4 available on the web, Trophies, Messages, and Friends are a great start (and the profile management!). I think the What’s New/Social feed and Communities are the next step! Kudos! Absolutely no point in this. OK apparently somehow you do not let us upload our screenshots or videos to Google Drive, how about instant uploading them to this page (not sharing, just uploading)? So we can share or gather them easily instead of using a usb stick everytime. I’ve got tons of stills from Horizon & Uncharted that I didn’t share because I’m lazy to use a USB. It makes no sense when there is a dedicated Share button on your gamepad. I rarely use the Share button, but doesn’t the PS4 allow you to upload any video or screenshot onto the web (YouTube, Twitter, etc)? Why not just do that? I have used this a while now already (so this supposed to be a new news??) and I have disliked that there is no communities working on this. I wanted to write something to my communities online but no. Hope to add more features, like watching friend’s stream directly from there and access to communities and watch public streams. Also make it more social so we can add screenshots, gameplay videos .. etc. Possibly a simple question… on the pics above, it shows a nice personal wallpaper. But on mine it shows just a blue background. Where is this changed? Good start but agree with others that I hope it gets way more integrated as time goes by. A way to access pictures would be fantastic.